Lourdes Silva was born in Venezuela, S. A. She graduated as a Dentist at Universidad Central de Venezuela, Caracas. After a few years of practicing, in 1978 she decided to start her education as a metalsmith; since then she has attended numerous courses related to metal techniques in USA and in Venezuela, taking workshops in Broward Community College Florida, with Marlene Byer; in Penland School of Crafts, North Carolina, USA, with Mari Ann Scherr, Marilyn Sommers and Michael Jerry, Donavon Boutz, Pat Flynn in different techniques, as shell structures, small objects, surface treatment, forging, stone setting, casting. In the summer of 1982, she traveled to New York City, N.Y. and enrolled at Parsons School of Design and was trained by Mary Ann Scherr (Instant Photo etching); David Tisdale (Anodised Aluminum, Titanium); Sidney Scherr ( Enameling); Stanley Rosemberg (Granulation); Michael Lieber (Forging). 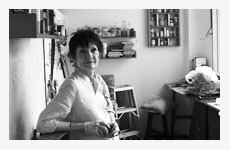 In Caracas (1992-1993), she took seminars in enameling with Jean Tudor, President of the North American Society of Enamellists and Babs Bannenberg, from the Netherlands. In Venezuela, Silva has been teaching and performing demonstrations, such as “Coloración de metales raros de la tierra: Titanio y Niobio”, in the Instituto Hector Poleo, with Mary Ann Scherr, who was teaching a two weeks workshop in Caracas, invited by Mrs. Silva (1992). Other important workshops teached by Lourdes Silva in Caracas are “Beginners Jewelry”, at the Tito Salas Gallery (1993); “Jewelry Workshop”, at the Museo de Bellas Artes (1981); “Titanio and Niobio”, at the Galeria de Arte Nacional (1995); “Jewelry Workshop” at the Universidad Simón Bolivar (1982); “Working with Wire, at the Bolivar Hall of the Venezuelan Embassy, London (2002). Actually she teaches at her private studio. Silva’s work has been shown in solo and collectives exhibitions throughout the world. The most important solo shows are: From Gold to Aluminum, Galería la Cayapa (1984); La belleza irrepetible, Complejo Cultural Teresa Carreño (1995); Jewels and Enamels, Venezuelan Consulate Gallery, New York, N.Y. (1987); Expression, MUseo de Arte Contemporaneo Sofía Imber (1989); The ritual Amulet, Bolivar Hall of the Venezuelan Embassy, London (1990); Cosmos, Centro Cultural Consolidados, Caracas (1992); Desde el Origen, Museo de Arte Contemporaneo Sofía Imber, Caracas (1994); Connections, Joya Gallery, Miami, Florida (1995); Ab Initio, Cultural Space, Venezuelan Embassy, Washington D.C. (1996); 11+1, Museo de Bellas Artes, Caracas (1998). Some of the most important collectives exhibitions are: 10 Presencias, Galeria de Arte Nacional, Caracas (1995): from 1981 to 1987 Salón Nacional de las Artes del Fuego, Valencia, Venezuela; XI Salón de Artes Visuales Arturo Michelena, Valencia, Venezuela (1982); Primer Salón de Artes Plástica, Museo de Artes Visuales Alejandro Otero, Caracas (1987); Chritsmas Show, Argenta Gallery, London (1991); Felissimo New York, N.Y. (1992), Smithsonian Craft Show, National Building Museum, Washington D.C (1997); Magia y Artificios, Corporación Andina de Fomento, Caracas (2000); Cloisonnee Jewelry Contest, Syosenko Rope, Shipo Museum and La Pola Ginza Gallery, Tokio, Japan (1999 and 2000); Jewelry, Venezuelan Cultural Center, Embassy of Venezuela, Bogotá, Colombia (1999); Platería Hispano Americana, Casa Cabrera, Cusco, Perú; Museo Nacional de Lima (2001); Platería Hispano Americana, may Nacional de Minas, Petroleo y Energía, Lima, Peru (2002); Huellas del Fuego, AVAF 22 años de historia, Invited Artist, Museo Jacobo Borges, Caracas (2001); Christmas Show, Ellectrum Gallery, London (2001); 4 Trends in Venezuelan Jewelry, Bolivar may of the Venezuelan Embassy, London (2002). In 1995, Lourdes Silva was commissioned by Venezuela’s President, in occasion of his visit to the Vatican, Rome, to create a cross in silver and gold, to be presented to Pope John Paul II. She traveled to Cusco and Lima, Peru, to represent Venezuela at the “Primer Encuentro Hispano Americano de Plateros”, invited by the Patronato de Plata del Peru (Peruvian Silver Patronage). Involved in the promotion and teaching of jewelry she founded the “Fundación Proyecto Alquimia” (The Alchemy Foundation Project). Silva participates too in the founding of the Instituto Hector Poleo, Caracas. In several occasions Mrs. Silva´s work, has been choosen as presents to dignitary and celebrities of foreign countries, in Venezuelan official events. Her work has been duly recognized in her country. In 1996 she was awarded with The National Prize for Arts of Fire, Valencia, Venezuela. 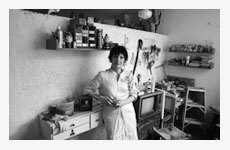 In 1996, she received the First Prize in Jewelry (Salon National de las Artes del Fuego), Valencia, Venezuela, and in 1982 The Armando Reveron Award for Arts of Fire (Salon Michelena para Artes Visuales), Valencia, Venezuela.